This quick charging rectifier power supply device adopts IGBT inverter soft switch AC-DC, DC-AC or AC-DC rectifier and LC filtering charging. There is an active filtering at the side of AC power supply. The power factor correction can improve power factor of quick charging power supply device. Electricity does not pollute power grid. 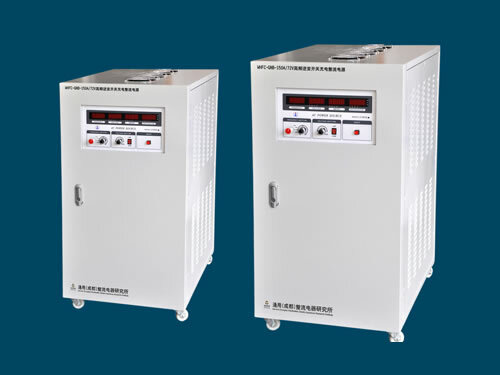 When battery is charging, you should discharge and depolarize battery to improve the rectifier power supply device's charge receiving capability. Discharge energy active inverter feedback electric network can improve the battery's service life and save energy. 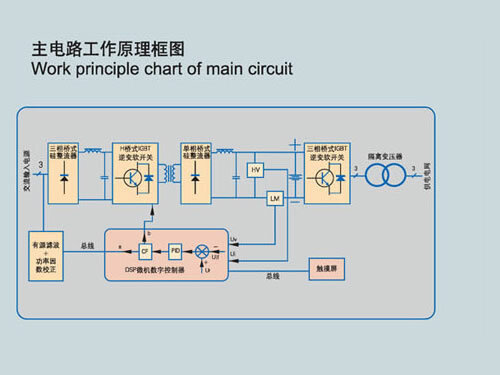 Control system adopts DSP microcomputer digital instantaneous value double-loop control system. This quick charging power supply device has controlling functions of constant-current limit voltage charge and constant-voltage limit current charge. This rectifier power supply device is of quick response speed and no overshoot. 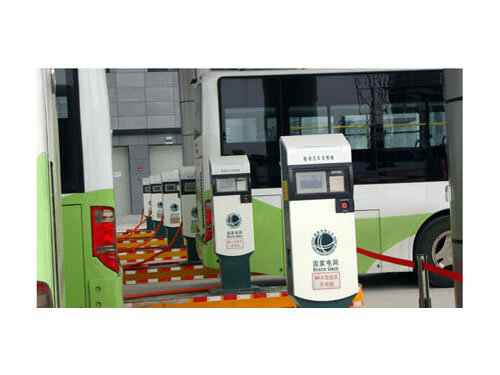 With small volume, light weight and high efficiency, the quick charging power supply device can be widely used for car rapid charging of electric vehicle, factory battery transfer vehicle and electric forklift and sightseeing vehicle in scenic area. The rectifier power supply device can also be used for charging common lead-acid accumulators and batteries. 1. The active filtering in the network side can manage and eliminate rectifier's harmonic pollution on power gird. 2. This quick charging power supply device owns an active power factor correction. 3. This type of rectifier power supply device has high transfer efficiency with IGBT resonant soft switch inverter rectifier. 4. 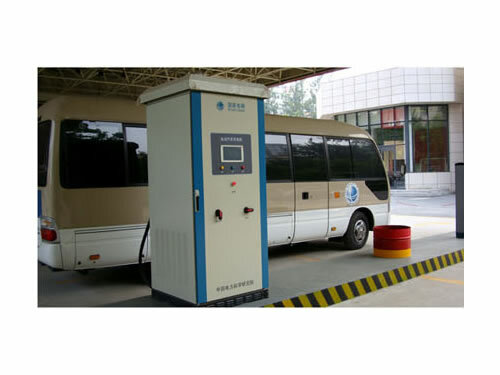 Charging and discharging modes adopt PWM control, charging interval battery depolarization treatment and storage battery activation discharge energy feedback electric network. This can comprehensively improve battery life, shorten charging time and save energy. 5 Master controller of this rectifier power supply device adopts DSP microcomputer digital instantaneous value double-loop control. It is of quick response speed and no overshoot. 6. High frequency inverter switch quick charging power supply device has several protection functions: open phase, over voltage, under voltage, quick fuse or fuse alarm protections of AC power supply, output over current and current limiting protections, output short circuit and instantaneous overload protections, IGBT RFSM, high frequency rectifier transformer, bus copper bar overheat, fan overheating and low block trigger pulse protections. 7. This rectifier power supply device can display and record working current, voltage and history curves of current and voltage timely. 8. The quick charging power supply device can be connected with computer through RS485 communication interface. It can also be stored by U disk then re-stored to computer, which is convenient to save customers' files. 9. We can provide CAN BUS, PROFIBUS, ETHERNET, RS485 and RS232 fiber communication to realize remote control or monitoring according to customers' requirements. 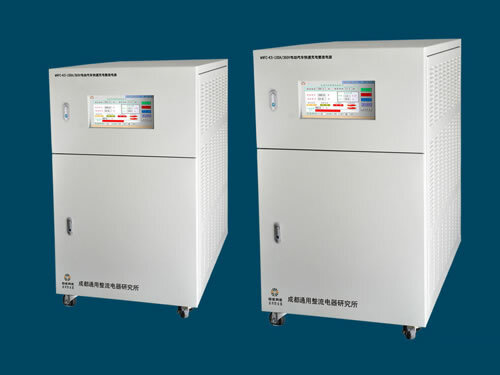 Chengdu General Rectifier Research Institute is a professional manufacturer and supplier of high frequency inverter switch quick charging rectifier power supply device in China. 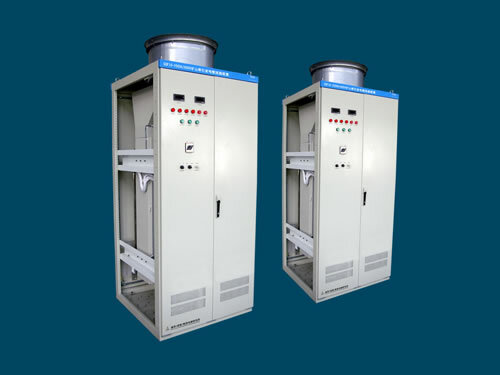 In addition to this quick charging power supply device, we also produce mine traction substation rectifier complete system and high frequency inverter switch charging rectifier power supply equipment. Our products have been exported to USA, Germany, Australia, Singapore, India, Brazil, Iran, Vietnam, Kazakhstan and Malaysia, etc.